If long lines and huge crowds aren't your thing — but Pronto Pups and carnival rides are — listen up: The least crowded day to visit the Minnesota State Fair is also the first day. 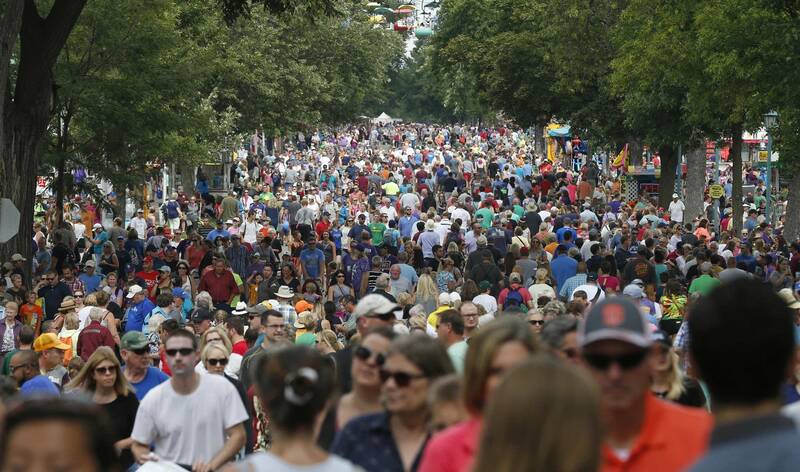 On average, the first Thursday — typically the first day of the Great Minnesota Get-Together — draws about 107,482 people, the "lowest" number of daily visitors during the fair's 12-day run, according to attendance figures from the past six years. Compare that to 233,514: the highest number of daily visitors, on average, for the last Saturday of the fair. In 2016, the fair even set a new attendance record, with 260,374 on its last Saturday. Now wait a sec, you say. What if I can't go to the fair on the first day because I have to work? Your next-best bet is to plan ahead and take a personal day on either Tuesday or Wednesday. On average, each of those days draws around 118,000 and 116,000 visitors respectively.